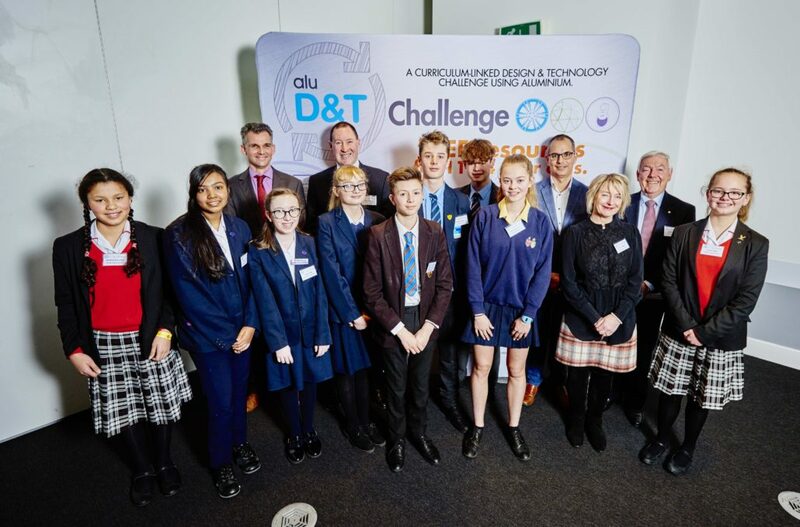 Ten students from schools around the UK have been named as winners in the Alu D&T Challenge, a national competition for 11 to 14 year olds, funded by the aluminium industry to inspire young designers to create sustainable products using aluminium. Students and teachers travelled to Birmingham on 7th March to receive their prizes and meet the sponsors at a celebratory event at Thinktank Science Museum. The national schools’ competition, linked to the Design and Technology curriculum, helps engage pupils with the material properties and sustainability potential of aluminium by challenging them to design a sustainable product for the future using aluminium. The design challenges are based on real-life briefs faced by designers, engineers and manufacturers in three categories – transport, building and packaging. They form part of a wider package of cross-curricular teaching resources which have been developed by the aluminium industry to support teachers of pupils aged 7 to 14. Judging took place in two stages, reducing over 100 entries to a final shortlist of 18; the final winners were selected by a panel made up of senior figures from the aluminium industry, and specialists in engineering and architecture. The winning entry in each of the three design challenges received a Magnetic MODI robotics kit and a Mini Mambo Drone for their school alongside £100 worth of vouchers for the pupils. Prizes were also awarded those who were shortlisted. Winner: Toby Davies & Archie McTeare, St Ives School. Runner Up: Alicia McCarthy, Watford Grammar School for Girls. Winner: Finley Hawkins, St. Benedict’s Catholic High School. Runner up: Chloe James & Georgia Benjamin, Pipers Corner School. Winner: Sanjita Akter, Emma Baldwin Quirk, Libby Evans, Weatherhead High School. Runner up: From Portsmouth High School. Sanjita Akter, Emma Baldwin Quirk, Libby Evans, Weatherhead High School. Arconic creates breakthrough products that shape industries. Working in close partnership with our customers we solve complex engineering challenges to transform the way we fly, drive, build and power. Through the ingenuity of our people and cutting-edge advanced manufacturing techniques we deliver these products at a quality and efficiency that ensure customer success and shareholder value. 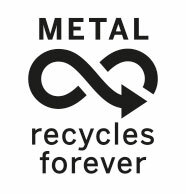 Befesa is a leading international company that provides innovative sustainable solutions for the management and recycling of industrial residues, including aluminium residues to produce high value aluminium alloys. Novelis Inc. is the global leader in aluminium rolled products and the world’s largest recycler of aluminium. The company operates in ten countries, has approximately 11,500 employees and reported $10 billion in revenue for its 2017 fiscal year. Novelis supplies premium aluminium sheet and foil products to transportation, packaging, construction, industrial and consumer electronics markets throughout North America, Europe, Asia and South America. Novelis is a subsidiary of Hindalco Industries Limited, an industry leader in aluminium and copper, and metals flagship company of the Aditya Birla Group, a multinational conglomerate based in Mumbai, India. For more information, visit novelis.com and follow us on Facebook at facebook.com/NovelisInc and Twitter at twitter.com/Novelis. Technology Supplies is the leading Design, Technology and Engineering specialist for education worldwide. Our globally trusted services include installations, from design and consultation to commissioning and training; maintenance services for all types of educational workshops; supply of over 8,000 curricula-aligned products; and excellent aftercare support across all products and equipment. Impression Technologies was formed in January 2013 to act as a portal between Imperial College London’s Engineering Faculty and automotive and transport manufacturers. Its HFQ® technology has already been taken up by a number of high-end manufacturers in the automotive industry. The company has recently moved its premises to Coventry and opened a state-of the art Production and Technology Development Centre to showcase its innovative technology and its application to production processes.